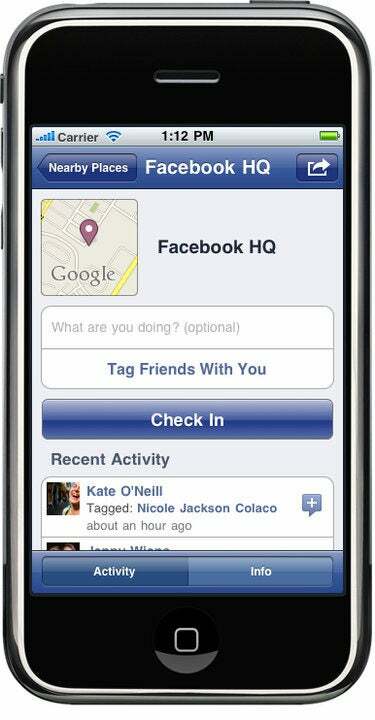 Facebook Places: Does it Have the Location-Sharing Secret Sauce? Facebook Places vs. Foursquare: Who Has the Business Edge? Facebook CEO Mark Zuckerberg unveiled the new Facebook Places location-based check-in service at a press event yesterday. Following in the footsteps of services like Foursquare and Gowalla, the Facebook Places service provides businesses with a platform for marketing and promotion, and provides an opportunity to build customer loyalty. Like current social location-based check-in services, Facebook Places lets people share where they are, see which friends are in the local area, and discover new places by following where others from their social network have checked in. The real value of services like Foursquare has been the integration with Facebook and the ability to share the check-in details with the broader social network, so Facebook Places seems like a natural evolution of the concept. When asked at the Facebook Places launch whether or not the new service would be integrated with business pages on Facebook, Zuckerberg and company sort of dodged the question. The Facebook gang indicated that Places will be added to any pages that make sense, though, which essentially amounts to a "yes". Besides, the Facebook Places FAQ shares more information, making it clear that businesses can benefit from the new service. Facebook explains that business owners can search for their business in Places. If there is a Place already created, there is a process to claim ownership of it, and if there isn't already a Place, the business owner can create a new Place for the business. 1. Special Offers. Provide special discounts or promotional items for customers who show that they have checked in with Facebook Places during the current visit. The business can use signs in the store, or at the cash register, as well as Twitter and Facebook to encourage users to check-in to Facebook Places to receive the special offer. 2. Promoting the Business. Word of mouth is one of the most effective forms of advertising--that is why location-based services like Foursquare or Yelp have grown so much in the first place. Encourage customers to share their experience with your business, and engage them to promote the business for you by providing specials or discounts for customers who post photos or reviews of the business, or share Facebook and Twitter updates from the business with their friends. 3. Rewarding Customer Loyalty. Getting customers is good for business, but getting loyal repeat customers is the key to a truly successful business. Give customers a reason to keep coming back by providing a special discount every certain number of Facebook Places check-ins. Assuming Facebook Places has something equivalent to the Mayor feature in Foursquare--declaring a Facebook Places "leader" based on the most check-ins--the business can create a special offer just for the designated Facebook Places "leader" and exploit the natural competitiveness of customers to drive return visits. Of course, to realize the benefits of Facebook Places, your business should have a Facebook page. If your business hasn't yet embraced Facebook, check out Secrets to Using Facebook to Market Your Business.